Wonderworks Canada Inc. is a multi-media news and information content provider. Information is gathered, packaged and distributed in a manner designed to provide the public (the radio listener, the television viewer, the internet surfer, the e-mail subscriber) the most current, concise and credible content possible. Farmscape was launched in 1998 by Wonderworks Canada to meet the increasing demand for in-depth information about the Western Canadian pork sector. The two minute Farmscape Radio version is heard daily Monday to Friday on CJVR Radio and CK750 Radio Melfort and CKSW Radio Swift Current. The Farmscape E-mail Newsletter boasts an international array of subscribers. The list includes many of the researchers, government representatives, industry leaders and others who have been interviewed. The "Farmscape Newsletter" is a transcript of the Radio version of the program. 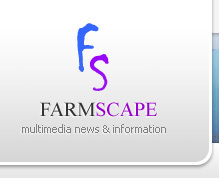 The Farmscape web site offers immediate global access to Farmscape's programing and information. The Internet surfer is able to access the MP3 Audio version of Farmscape. A transcript of the day’s program is also available. Past Farmscape programs are accessible through the script archive data base. Articles can be tracked by date or with the help of the handy "word search" function. For more information on Wonderworks Canada products and services...Please access www.farmscape.ca.